Have you been considering getting one of these great garage doors? We can definitely see why. It is truly a work of art when it comes to garage doors. It really turns heads as people are going by your home. It has the capacity to make your neighbors jealous. That may be good or bad. Regardless, here are eight reasons you should get one! As if you really need any more, right? This material might not seem like the best thing to turn heads as people drive by your home. It really is, though. When you combine the raw industrial look with the clean and unique style of glass panels, you get a pretty good look for your garage door. As simple as that sounds, it really does work! Surprisingly, or maybe not, this type of garage door looks really good with modern and contemporary style houses. It can work on any home, but new houses look a lot better with this style of garage door. It really isn’t that hard to see why, either. Full view aluminum garage doors are very flexible in their designs. You can pretty much pick any frame you want or need for your garage door. That is a very unique trait when it comes to garage doors. Most of the time, you have little to no choice at all between garage door frames. So this is definitely a bonus. During the day you will be able to have your garage door closed and the light off! 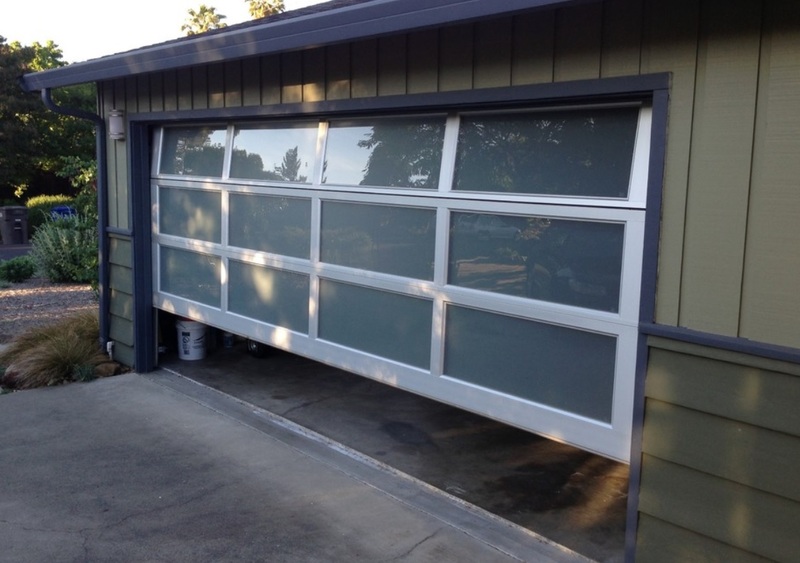 The glass panel windows on these garage doors are not only stylish, but they are also great for daytime lighting. It is just like the windows in your living room. They produce a lot of light, which is very helpful to most people. It is not that you can’t apply garage door insulation to other garage doors, but it is easier to apply it to these garage doors. Not only that, but you can apply more insulation to full view aluminum garage doors. It saves you money on your electric bill and it saves the stuff you keep in your garage. Even with added insulation to a full view aluminum garage door, they are very light in weight. That naturally makes them more energy efficient. Not only are you saving on your electric bill even more, but you are making your garage door opener last longer. Aluminum garage doors, in general, have long lives. They don’t rust easily if taken care of. If they are dented they can typically be put back into place easily. You definitely can’t do that with a wooden or glass garage door. Well, not literally. We mean, they can be green but we are talking about environmentally friendly. Aluminum garage doors can be completely recycled. This means that you are leaving a green footprint on the world! 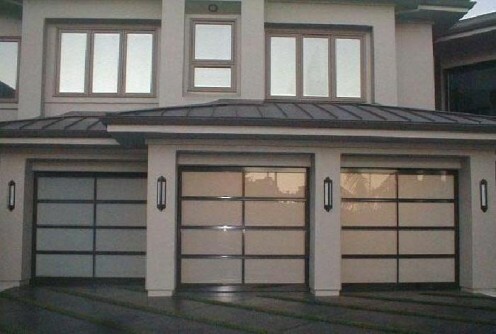 Do you want one of these full view aluminum garage doors? Just call Clark’s Garage Door & Gate Repair today at (877) 622-8183! We offer garage door installation services at affordable prices. What is Garage Door Hacking? And Yes, It DOES Exist!